An assessment task for monitoring student understanding of the unit objectives is included and will require additional lessons. To explore the natural and human features of Australia. 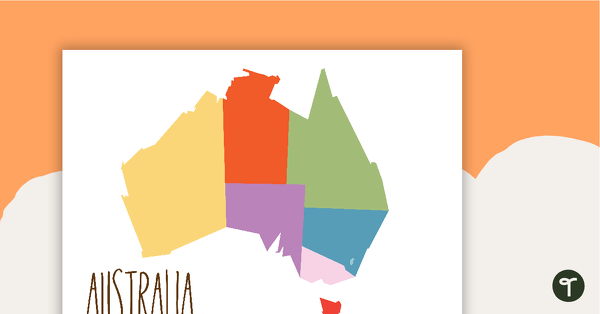 To investigate how Australia can be represented on a map as states and territories. To investigate the geographical location of capital cities and regional centres around Australia. To explore the oral traditions Aboriginal and Torres Strait Islander Peoples use to map landscapes. To identify, describe and locate rivers in Australia. To identify, describe and locate mountains in Australia. To identify, describe and locate deserts in Australia. To identify, describe and locate rainforests in Australia. To explore the unique natural environment of the Great Barrier Reef. 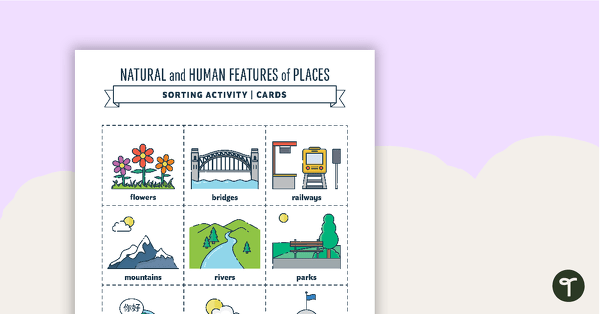 To identify the human features of Australia and to explore some Australian landmarks. This Geography unit provides opportunities for cross-curricular integration. 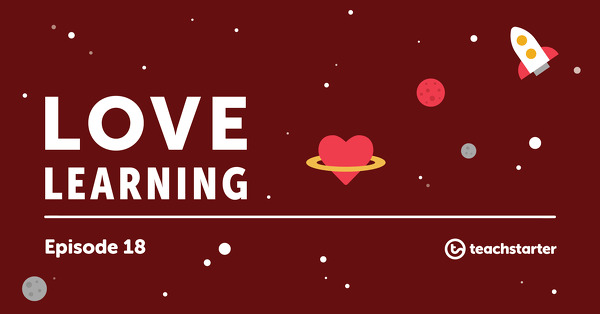 Look for ways to meaningfully integrate the content of the unit with other learning areas e.g. Literacy, Numeracy, The Arts. Prior to commencing the unit, create a classroom display which celebrates the natural and human features of Australia. Display posters, word wall vocabulary and learning goals that the students will engage with throughout the unit to stimulate their learning. For examples of additional teaching resources to display in your classroom, browse the Australia collection on the Teach Starter website. A 60 minute lesson in which students will explore the natural and human features of Australia. A 60 minute lesson in which students will investigate how Australia can be represented on a map as states and territories. A 60 minute lesson in which students will investigate the geographical location of capital cities and regional centres around Australia. A 60 minute lesson in which students will explore the oral traditions Aboriginal and Torres Strait Islander Peoples use to map landscapes. A 60 minute lesson in which students will identify, describe and locate rivers in Australia. A 60 minute lesson in which students will identify, describe and locate mountains in Australia. A 60 minute lesson in which students will identify, describe and locate deserts in Australia. A 60 minute lesson in which students will identify, describe and locate rainforests in Australia. 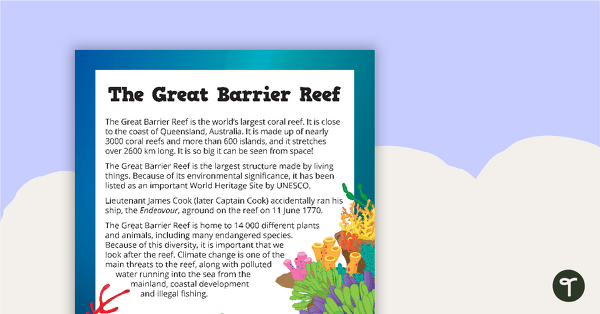 A 60 minute lesson in which students will explore the unique natural environment of the Great Barrier Reef. A 60 minute lesson in which students will identify the human features of Australia and explore some Australian landmarks. An inquiry-based assessment task in which students will demonstrate an understanding of the natural and human features of Australia. A set of Australian related vocabulary word wall cards. 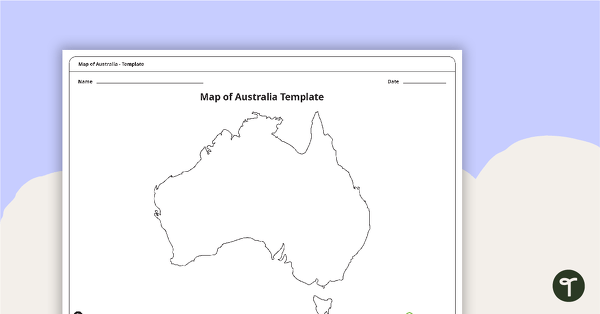 A blank map of Australia to use during Geography lessons. A map puzzle containing basic locations to introduce students to places of significance in Australia. A detailed map showing the indigenous countries of Australia. A comprehension and linked activity based on an Aboriginal Dreaming Story. A 14 slide editable PowerPoint template to use when introducing Australia’s rivers. A 14 slide editable PowerPoint template to use when introducing Australia’s mountain ranges. A 14 slide editable PowerPoint template to use when introducing Australia’s deserts. A 14 slide editable PowerPoint template to use when introducing Australia’s rainforests. An inquiry task focusing on the natural and human features of Australia.